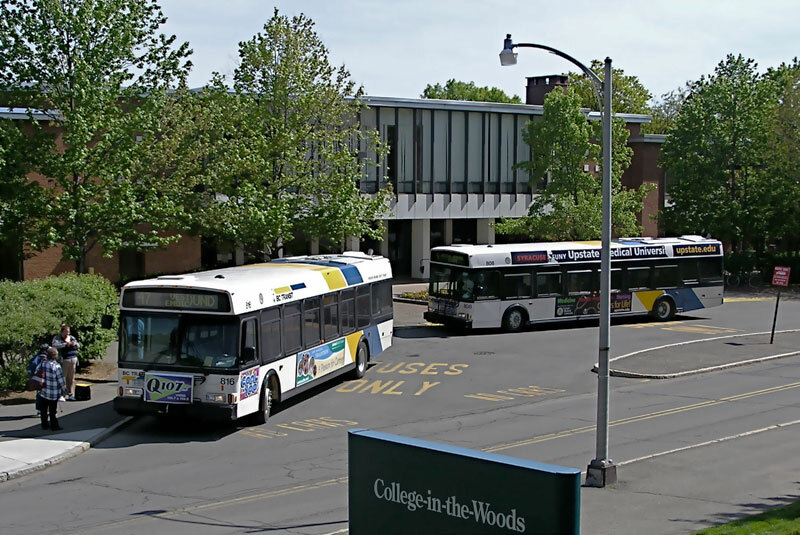 In the coming months, students and community members boarding Broome County Department of Public Transportation (BC Transit) buses may experience a quieter ride without the familiar roar of the engine, because of a $2 million influx in federal funding. The $2,040,000 grant will add three new hybrid electric buses to BC Transit’s fleet over the next two years. BC Transit currently operates 54 buses, 12 of which are already electric hybrid buses. Electric hybrid buses differ from diesel buses in that they are powered by both a traditional internal combustion engine and an electric motor. Greg Kilmer, BC Transit’s commissioner, said the grant will help the department, which has struggled with funding, keep up to date with technology. According to Kilmer, about 80 percent of BC Transit’s $12 million in funding comes from the federal government, usually in the form of capital, like the buses themselves. The remaining 20 percent comes from local and state government, such as New York state’s Department of Transportation. Beyond simply putting more electric hybrid buses into the field, Kilmer also discussed the possibility of using the money to geofence Binghamton University. The combination of geofencing GPS technology and the electric hybrid buses would create a zero-emission zone on campus. According to Kilmer, his department is not currently planning on fully transitioning BC Transit’s fleet to electric hybrid. The funding will be administered through the U.S. Department of Transportation’s Federal Transit Administration. The Federal Transit Administration annually invests more than $12 billion to support and expand public transit throughout the country. The Federal Transit Administration is responsible for distributing appropriated funds, which are funds that have been allocated for a specific purpose by Congress and approved by the president. Once the money is allocated, transit officials and state or local representatives can submit their proposals to the Federal Transit Administration in order to receive a portion of those funds. In a press release on April 6, U.S. Rep. Claudia Tenney announced that she secured the funding and attached a letter she wrote on behalf of BC Transit to Matthew Welbes, executive director of the Federal Transit Administration, in June 2017. In the press release, Tenney noted the economic and infrastructural benefits of the grant. Tenney is facing re-election to represent New York’s 22nd District in November 2018. She is being challenged by Democrat Anthony Brindisi, a New York State Assembly member from New York’s 119th Assembly District. Ellen Foster, Brindisi’s campaign manager, criticized Tenney’s press release and referred to a joint press release from Broome County Executive Jason Garnar, Sen. Chuck Schumer and Sen. Kirsten Gillibrand on April 3, in which Schumer also claims to have fought to secure the funding. Kilmer, however, claims it was BC Transit that first approached local and state representatives about the competitive grant, in order to drum up ample support for the funding. He said Schumer, Gillibrand and Tenney have all shown support for BC Transit and public transportation throughout their time in office.